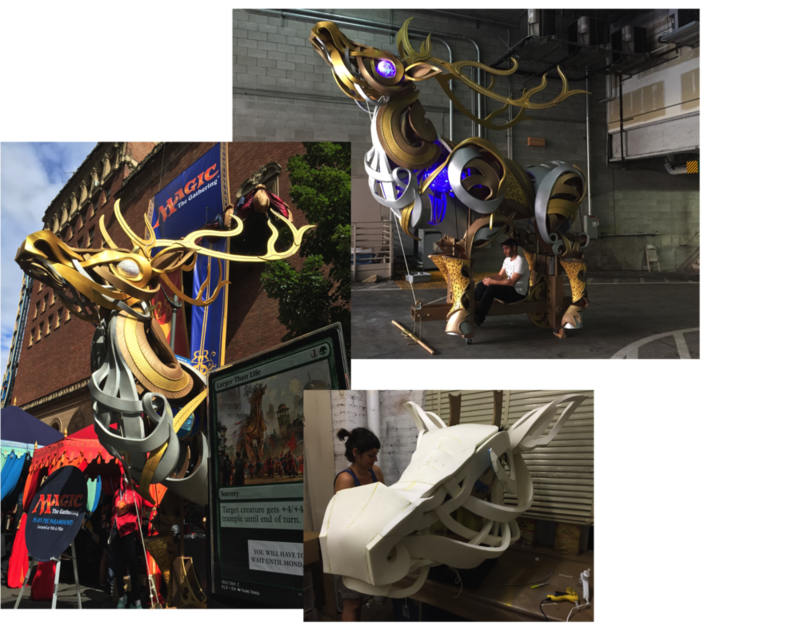 I worked on a team that created this "Elk" at the Puppet Kitchen. I worked mainly on the head and antlers; I designed and built both the internal plywood structure and external interlaced L200 foam of the face. The Giant Elk in motion at PAX West in Seattle. This puppet was commissioned by Magic the Gathering to promote the release of their 2016 expantion block Kaladesh. I was in charge of structures for these flamingo puppets, designed and created by the Puppet Kitchen for the San Diego Zoo. 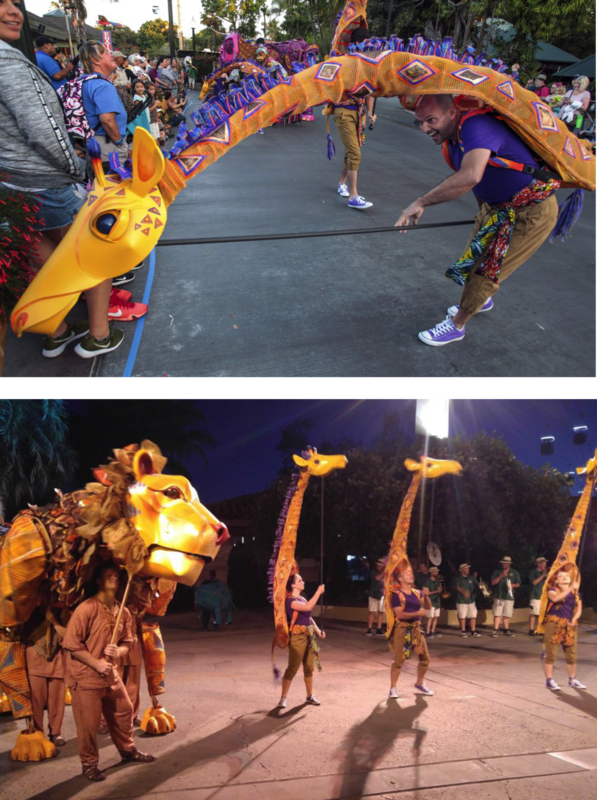 I was in charge of structures for these giraffe puppets, designed and created by the Puppet Kitchen for the San Diego Zoo. I worked on the head of this puppet. I sculpted the foam base and draped & stitched the painted spandex cover. I worked on the head of this puppet. I sculpted the foam base and draped & stitched the spandex cover. Wings for Facing Goya at the Spoleto Festival. 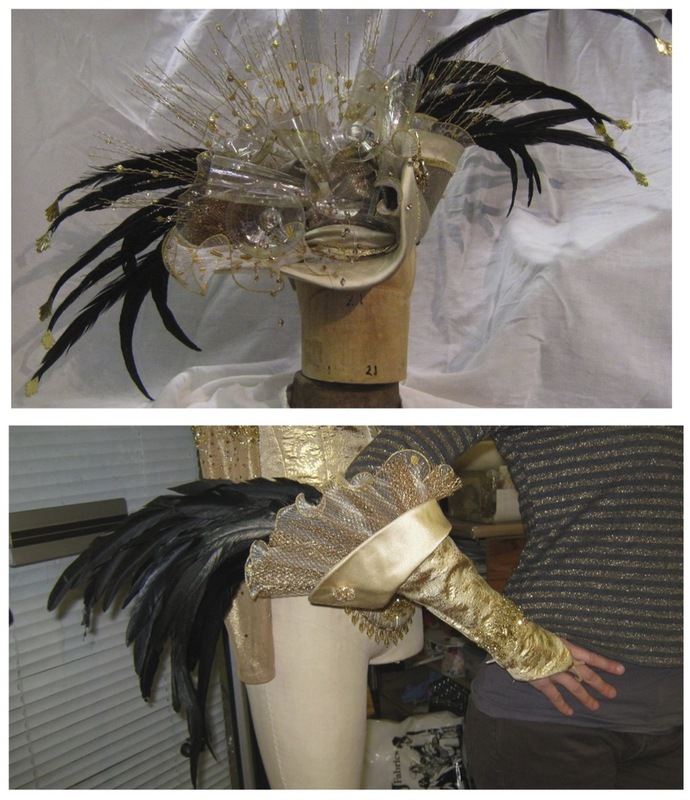 I worked in the crafts department at Carelli's Costume in NYC on this project. 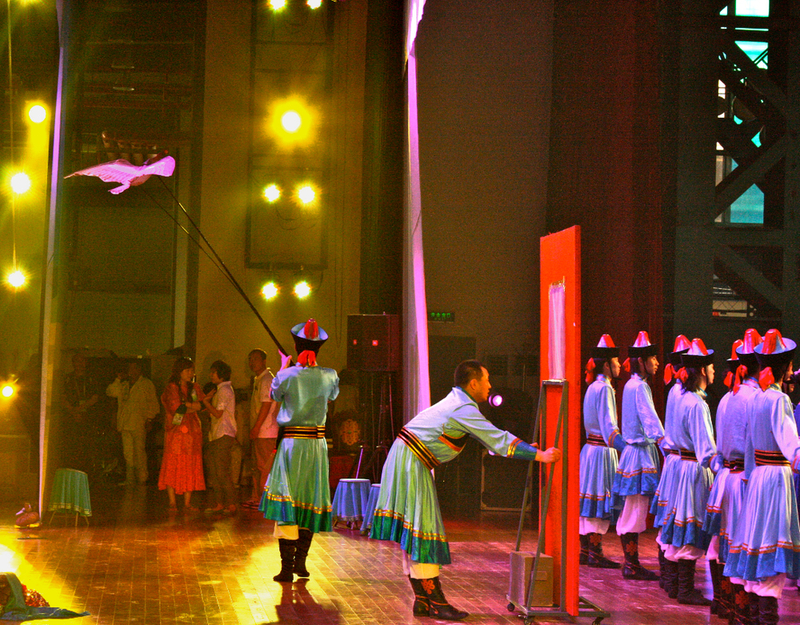 This Kite-Puppet was commissioned for a performance in China at EXPO Shanghai 2010. I cut and assembled the lexan frame, and draped, stitched, and hand-painted the silk covering. I worked on a two-person team to attach synthetic olive leaves to the branches of this real olive tree. The original work by Maurizio Catalan used a live tree, but this partially synthetic re-creation was needed to make the work light enough to suspend in the Guggenheim rotunda. I cut and stitched these costume pieces from existing patterns, and hand-stitched the features on this head. I assisted Mr.Twist with this puppet for International Burlesque Sensation Miss Dirty Martini. I worked on the body patterning and head sculpture of the swan. 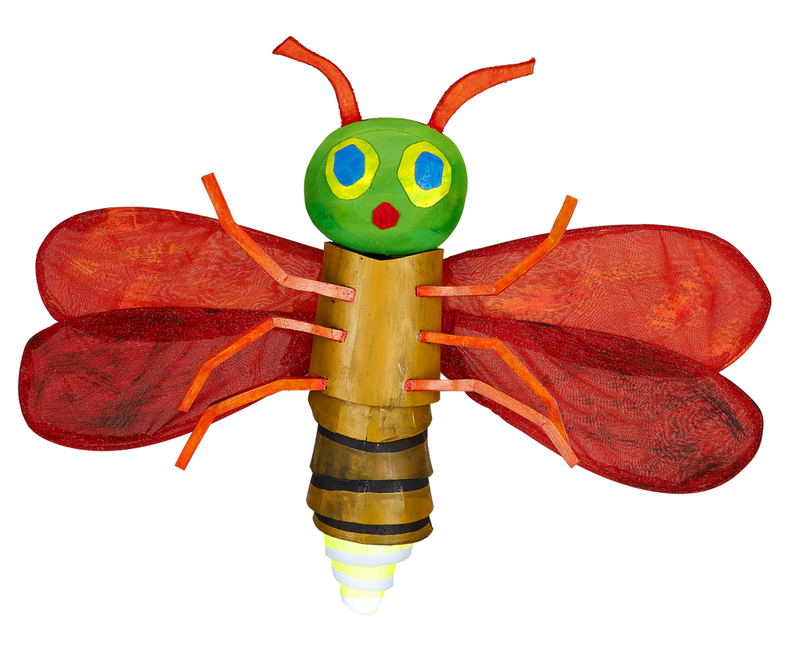 I assisted in Basil Twist's studio on this puppet. I draped and stitched the large ethafoam hands in textilene. Hands measure roughly 4 feet tall. Hats for the Rockettes Christmas Show at Radio City Music Hall. I worked in the crafts department at Carelli's Costume in NYC on this project. Hats and gauntlets for champagne girls in a Norwegian Cruise Lines cabaret. I worked in the crafts department at Carelli's Costume in NYC on this project. 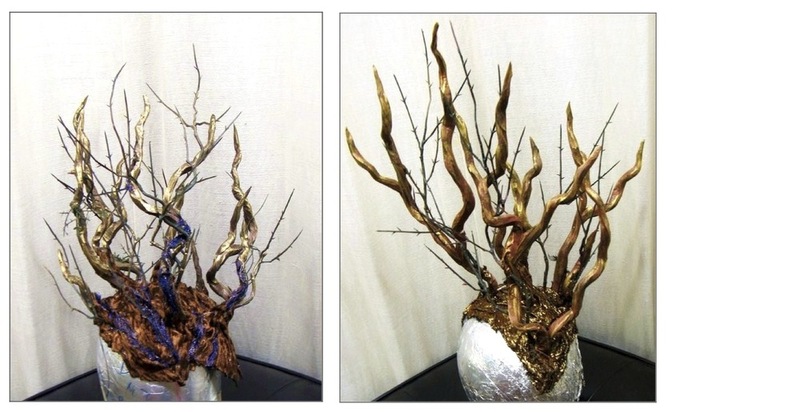 Headpieces for Trees in the opera L'Enfant et les Sortilèges at the Castleton Festival. I was the sole fabricator of these pieces at Izquierdo Studio in NYC. 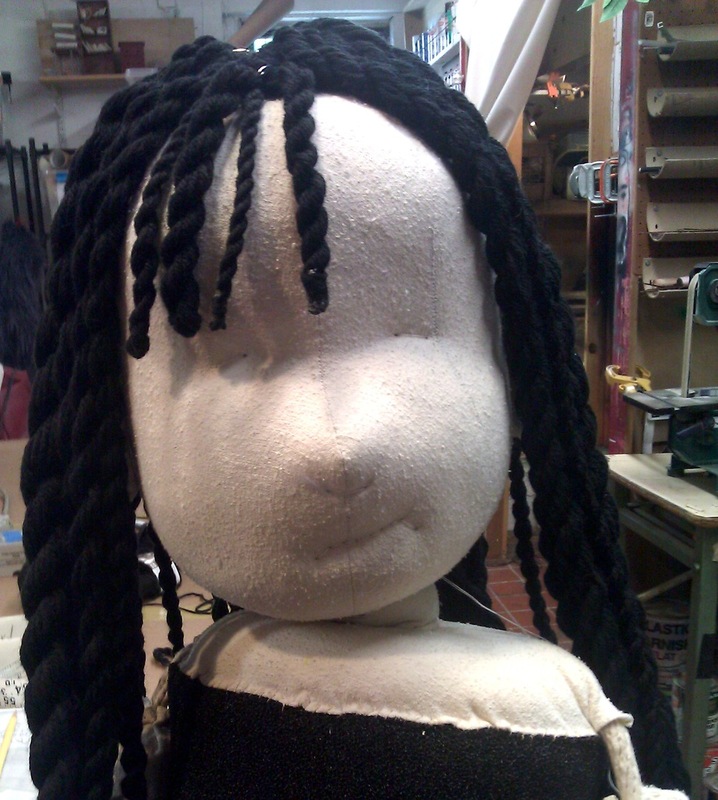 I patterned and stitched this fabric head for a project at the Puppet Kitchen in NYC. Puppet designed by the Puppet Kitchen. I made this eye mechanism at Izquierdo Studio in NYC for a drugged out scene in the movie 22 Jump Street.